I posted this last year, but it’s one of my favorite ways to pray during Holy Week. Using my coffee cup! (or it can be a cup of tea, or even a glass of water! ) I’ve updated it for 2019. 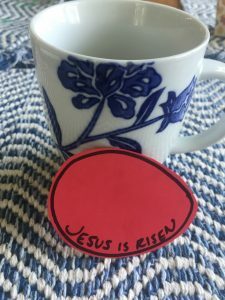 If you are looking for a way to engage the final week of the life of Jesus, find a cup and use it as a prayer tool to help you draw closer to Jesus between now and Easter! How are you feeling about Holy Week this year? 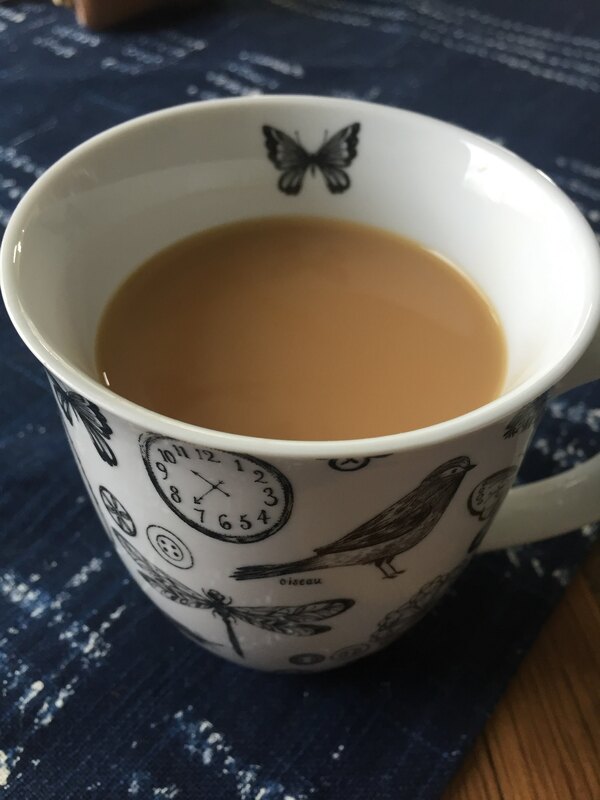 As you look towards Easter have you drawn closer to Jesus in the last few days and weeks, or are you feeling like you have been running and running and your cup is now totally empty? 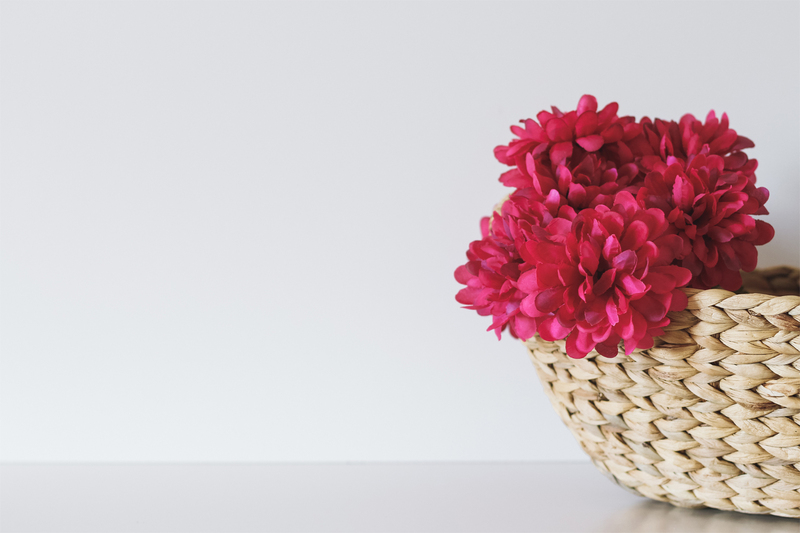 Is your spiritual cup over flowing with energy and gratitude? or are you looking into an empty cup that is dry and needs filling? What do you need in your cup as you look towards Easter Sunday this year? This week in the midst of it all, use a cup as your prayer tool. 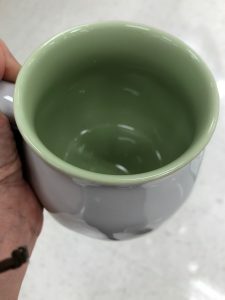 A coffee cup. A red solo cup, a tea cup or even a paper cup. Allow God to speak to you about your life with him as you drink from your cup. 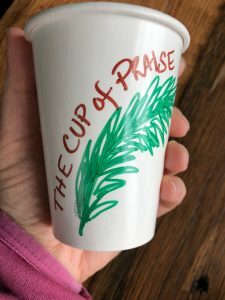 You might choose a special cup just for Holy Week or you might just see which kind of cup you end up with as you do your prayer focus each day. Allow Jesus to use that cup of coffee, tea or water to be a symbol of where you are on your journey. Allow Jesus to refresh you as you drink. Allow Jesus to interrupt you in the midst of your day, in the midst of a meeting to remind you of the cup of salvation or his cup of suffering or your need for his living water. Even a Starbucks cup can remind you to pray …for the barista, for the other customers in line, for the farmers who grew the coffee, for those who might be suffering for lack of coffee, or for lack of care due to exploitation of the industrial complex. Hum…the possibilities! Check out the daily prayers below. 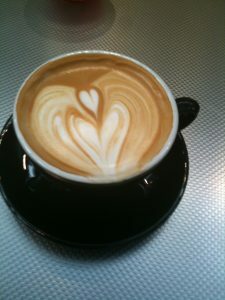 Use your cup of coffee, tea etc to draw you closer this last week before Easter! Take the time to pause and reflect and walk with Jesus on his Way of Suffering. And know that his desire in all of this is to refresh you and provide you with a cup that is overflowing with his love and grace joy and mercy even in the midst of all the busyness! 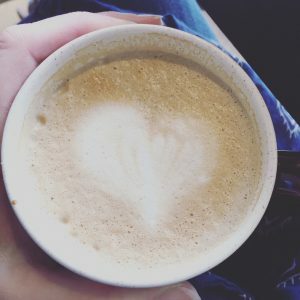 You can do these short meditations/reflections on your own, with your family, or even as a youth group activity individually or all at one time. 2. 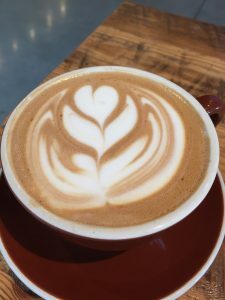 Monday: Cup of Forgiveness, A Confession. What do you need to ask forgiveness for? Talk to God about this. Allow God’s love to fill you up today. 3. Tuesday: The Cup of Change. The money changers were cheating people and blocking the way to prayer in the temple. What might be blocking you today? 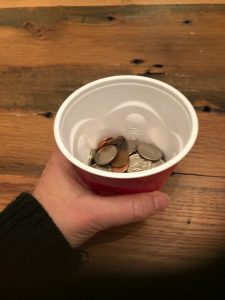 Many of us have cups of coins at home where we collect change. Gather the change and give the change to a local charity. or to a homeless person, or someone you know who is in need. 4. 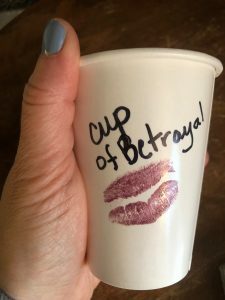 Wednesday: The Cup of Betrayal. Judas plans to betray Jesus and give him up to leaders who were jealous and afraid of Jesus and his teaching. As you drink from your cup today, have you felt betrayed or have you been betrayed by anyone? Pray for this person or situation and ask Jesus to help you forgive and heal. What about you? Have you betrayed anyone? Talk to God about this and ask for forgiveness. Are there ways you have betrayed Jesus in your life? Talk to Him about this and allow Jesus to forgive you. The cup of the new covenant …as you drink from your cup today, Consider the last supper. Think about Jesus serving his disciples through washing their feet. Picture them around the table celebrating the Passover. What does washing someone’s feet look like in 201? How can you serve someone today? those around the world who are suffering. Pray for those who drink from cups of suffering on a daily basis. Places like Syria, the US southern border, Zimbabwe and Mozambique, Sudan, Congo, Iraq, Afghanistan, Venezuela, Haiti, etc. 7. Saturday: The Empty Cup. Loss. The disciples hadn’t understood that Jesus had to die. They hadn’t planned on losing their friend. And they were afraid that they might die too. Look at your empty cup. Have you suffered a loss this week, this month, this year? Allow Jesus to be with you in that loss. Sit with the empty cup and give the loss to Jesus. 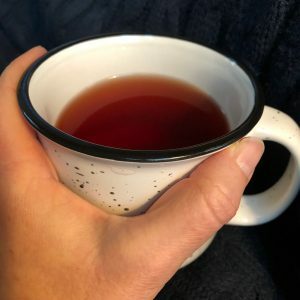 What fears are in your cup today? As you hold your cup picture Jesus holding your fears. Give your loss and your fear to Jesus. 8. Sunday: Cup of Resurrection and New Life. 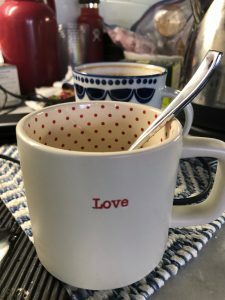 As you drink from your cup today thank Jesus for the New Life that is in you ask Him to show you glimpses of resurrection and hope today and in the days to come. What things in nature, or in other people give you hope? How can you bring resurrection/hope to someone today? Extras: Monday after Easter: The Cup of What is Next? The disciples now had a new reality, Jesus was no longer dead! For some this was exciting, for others like Peter, it made life uncertain. So he goes back to what he did before, fishing! What were they supposed to do now? How do they live? They were being invited into a new life of resurrection, a new life of living out the ways of Jesus. As you drink from your cup today, talk to Jesus about any doubts, fears or uncertainties you have about what is next in your life. Ask Jesus to show you his great love in the middle of the questions and the waiting on what is next. Remember that like Peter, Jesus has a call and plan for you and loves you more than you can even imagine! Have a wonderful Holy Week! Drink deeply of that Great Love! freerange friday: Live out Love Today!